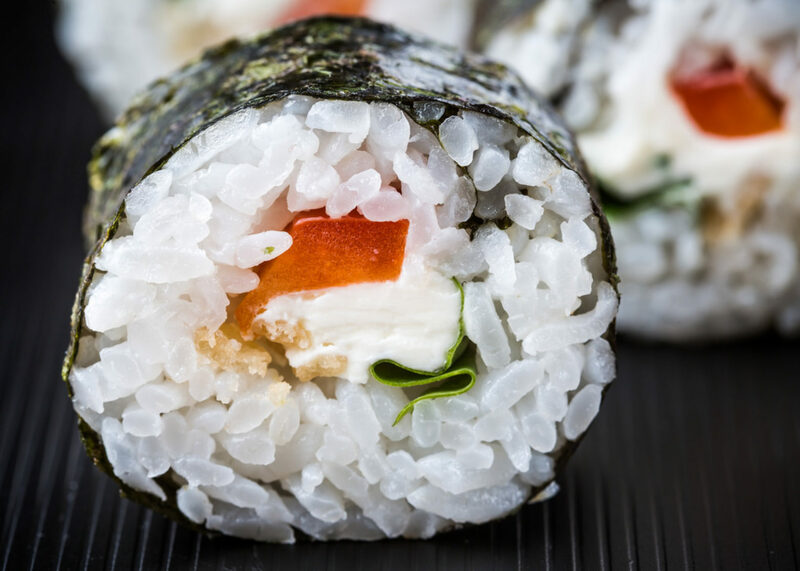 This roll is like a little explosion in your mouth. Red bell pepper gives a little spicy crunch, while the cream cheese and cilantro cool it down. It kind of reminds me of how the weather is right now here in Southern California. Just as it’s supposed to be cooling down, WAM a heat wave hits you! A little excitement to spice up your November. Slice the red bell pepper into thin strips, discarding the seeds. Wash cilantro, cut or tear into small pieces. 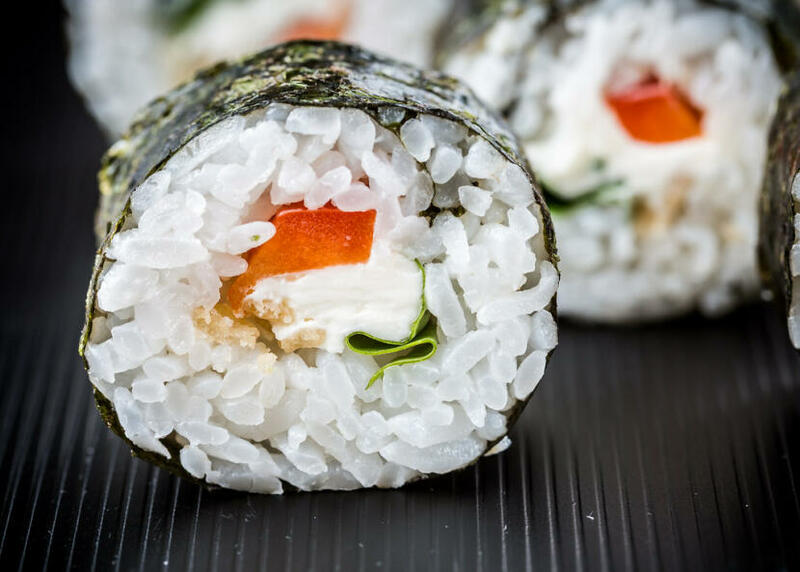 Roll the sushi, using 2-3 slices of red bell pepper, about 3 sticks of cream cheese, and about 1/4 tsp cilantro as your fillings. Whoa, awesome site! Bookmarking. Great sushi and great pictures!!! Thanks Yvo! You have an awesome blog by the way, I’m definitely going to start reading it!